DRREDDY (1677) - Yesterday itself correction over and bottomed out at 1616. hereafter if it trade and close below that only, further fall otherwise expect pullback to 1710 & 1764 from here. SKSMICRO (658) - Here posted on 10th nov. when it was trading at 960, ultimate down target 590. Day before yesterday it reached the down target when it made a low of 551 and closed at 601 and yesterday upper lock at 664. Now what next ? Timebeing low already formed at 551 now marching towards 770. 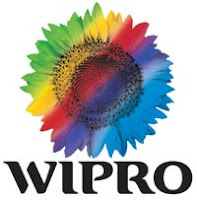 WIPRO (477) - On 3rd Dec posted here above 420 upside target 486. day before yesterday it reached the target when it made a high of 494 and now correction time. If stays below 486 expect correction to 464_458.